The lost children point is next to the big Christmas tree in the entrance foyer of the Corn Exchange on Corn St. See map. Please familiarise your children with this when you arrive to the night market. 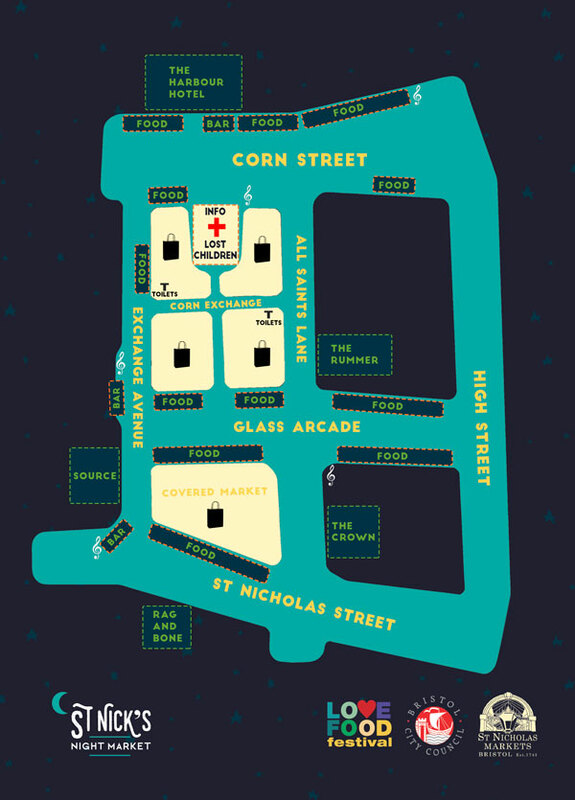 The night market will take place on St Nicholas Street, within the Glass Arcade and Corn Exchange and on Corn St.